Quality of games: How to improve quality in games? 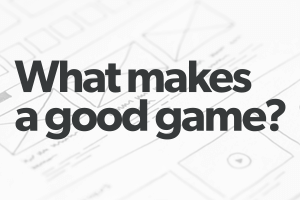 Quality of game development: How do we secure the quality of processes? Quality of the game industry as a branch: How to align the large number of small, independent players? With our partners we bring you an inspiring afternoon full of content by some of the most influential professionals from the industry. Multiple games will be showcased and playable, and we present the winner of the SAGANET Award. At the end of the day, we officially launch RAGE’s portal system and we celebrate it by raising our glasses during our drinks. The event takes place in one of Amsterdam’s most vibrant areas for the games industry: The Marineterein, where our host IJsfontein warmly welcomes us. Address: Kattenburgerstraat 7, 1018 JA Amsterdam, The Netherlands. Consult IJsfontein’s website for route and parking instructions. Dutch Games Association and SAGANET members get complimentary tickets. Get in touch with DGA or SAGANET to get yours. This event is a joint event of Dutch Games Association (Dutch games industry body), SAGANET (Dutch association for game simulation professionals) and RAGE (European flagship research and innovation project on serious games).